I think that anything that gets people to read, and become more familiar with, the U.S. Constitution is a good thing. For that alone, this book is praised. This edition is a modern retelling of the Constitution. Much as scholars do with Shakespeare, or even the Bible, this edition attempts to simplify the document. It does so by rearranging the layout of the Constitution so that it might make more sense in a consecutive format. It also highlights each section so that the reader knows what it is discussing, and it defines words that the editors think the modern reader might not understand. The question for me is: is this necessary? I read Shakespeare as if it were lifted off the pages of the Quarto, though if I were sharing it with students, I would pick a friendlier, easier-to-read edition. I don’t read Greek, or Latin,or even German, so I can’t say that I’ve read any of the Bible in any of the earliest editions, but I am comfortable with the older King James Edition language. The U.S. Constitution is only a couple hundred years old and the language hasn’t changed that significantly (we are, after all, still reading Shakespeare, which is over 500 years old). And the subject matter, ‘laws’ essentially, is still kind of dry reading for most of us. That hasn’t changed. For this, I’m not sure that this modern edition is necessary. In fact, this could be more confusing to the student who might think that the Constitution is laid out in the fashion presented here (despite editor’s preface to the contrary). I didn’t learn anything new to my understanding of the Constitution (my knowledge is probably a little above average) and I’m not convinced that the new formatting is truly helpful. Is the original so convoluted that anyone who takes on the reading of the document isn’t going to understand it? Reading the Constitution again, even in this slightly altered form was a treat. This is one of those documents you think you know, based on your elementary school knowledge, but actually reading it again, brings it to a new light. Looking for a good book? 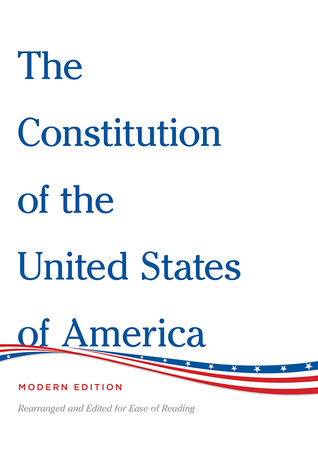 The Constitution of the United States of America is a document that should be read by all Americans, but do they need a re-edited version, such as this, or is the original good enough? Though I am familiar with the name of Brian W. Aldiss, I cannot say that I am at all familiar with his work. About the time that I came to recognize his name, I was no longer reading the science fiction of Clarke and Asimov that might have brought me to Aldiss, but instead I was reading the fantasies of Zelazny and Moorcock. Now, having broadened my reading horizons a bit, and seeing that Aldiss is retiring after this (note that this was first published in 2012), I thought it might be nice to explore a new work by a ‘Grand Master’ of science fiction. 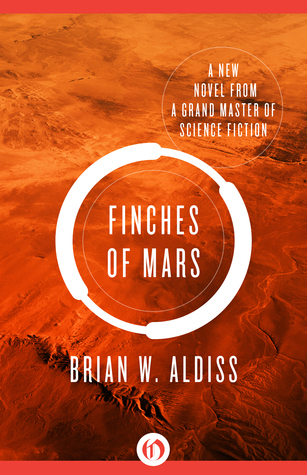 Aldiss takes a pretty common story idea (colonization of Mars) and adds his stamp on it. I will say that I can’t recall ever reading a science fiction story that addressed the issue of childbirth and the difficulties that may occur due to a variety of differences affecting labor (in this case, no child has survived childbirth on Mars and the colonies (established by universities to rescue mankind) are looking to thrive, but the lack of progeny is demoralizing. The future of humanity is at risk, but Aldiss tosses in a little deus ex machina at the end to address some questions. I very much like the ideas that are presented, but the story rambles and jumps around just a little too much to be the tight, cohesive book that it could be. The ending almost seems like a cop-out, and a new element is introduced into the book almost three-quarters of the way through — something that could easily be novel-worthy in itself, but is barely addressed again after the introduction, which was very disappointing. I felt that this book needed much stronger editorial over-sight and wonder if sometimes, when an author has had a long, successful career, if editors are afraid to challenge or push the author. There are flashes of something really powerful here, but it just doesn’t carry through to a completely satisfying read. Looking for a good book? Brian W. Aldiss’s latest (from 2012), and last book shows glimpses of the powerhouse he once was in the science fiction genre, but the story rambles and lacks cohesion. Why are there so many adaptations of William Shakespeare’s works? The answer is that Shakespeare wrote about human behavior better than anyone else has. What Shakespeare had to say about what it means to be human, and all the different emotions that go with being human, still holds true today, nearly 500 years after his works were written. Which of course means that man himself hasn’t changed much. Adapting Shakespeare’s works for children isn’t a new idea. Charles and Mary Lamb’s Tales from Shakespeare was written back in 1807, and today, books are still coming out. One of the latest is Hamlet, retold by Timothy Knapman with illustrations by Yaniv Shimony. The adaptation is pretty straightforward and very readable, and very readable to children (of the upper elementary grades). The illustrations help the story, and it’s nice to see the story take shape through the illustrations. Hamlet is a strange choice for a children’s story — revenge killing, power-hungry female, insanity … why are we reading this to our children? But if it gets children to become familiar with the famous works of Shakespeare, or gets children interested in attending the theatre, I am all for it. Looking for a good book? 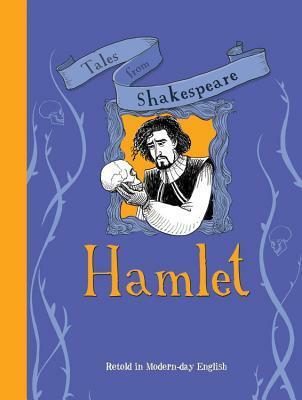 Hamlet: Retold in Modern-Day English is a simplified, children’s book adaptation of Shakespeare’s famous play and does what it sets out to do … tell the story very simply, so even a child can understand it. Ever since I did some research on Norse mythology for a project I wrote many years ago, I have been fascinated by the Scandinavian legends and mythology and history (it happens that this is my genealogical background, as well). And while there have been adventure stories based on the Norse gods, I am not aware of much literature that looks at the history in a fiction format. But now there is Bruce MacBain’s ‘Odd Tangle-Hair Saga’ and it is brilliant. Odin’s Child is the first book in MacBain’s saga and I will admit that while it caught my attention (and hence my request for a review copy), I was a little less than anxious to delve in to a re-telling of a Norse god story, because the Edda’s by Snorri Sturluson are awfully good and don’t really need a re-telling. After all, what else would this be, being called Odin’s Child? But this is NOT a retelling of the stories of the Viking gods. This is a well-researched historical fiction story of a young man, Odd, who is experiencing the transition of the worship of the old Norse gods to the new Christian god. He is a wanderer, a Viking, who experiences battles and imprisonment, friendships, expected and unusual, and the loss of friends. He is a story-teller, in the grand tradition, but he is also a fighter and ship’s captain. He is a leader who is faithful to his followers. This book relies on our attachment to the narrator, Odd Tangle-Hair, and fortunately MacBain has created a young man who is completely engaging while being appropriately modest and favored with fortune (he is, after all, Odin’s child). We really do want him to succeed, given his treacherous beginnings, and like Einar and Stig and Glum, we’ll follow and support him. Due to the number of books I read and review, I set reading goals for myself — number of pages and/or chapters — and I regularly exceed my goals with Odin’s Child because I kept wanting to read just a little more each time. That’s always a mark of a good book for me. I truly enjoyed this entire book, but I can say that I was most definitely hooked in the scene when Odd befriended Glum. You will have to read this book to understand who and what Glum is, and why this scene was so special. I highly recommend this book. I can not wait for the next volume in the saga. Looking for a good book? 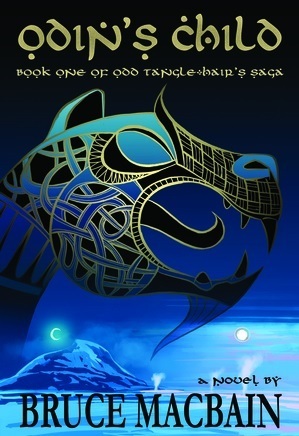 You’ve found one if you’ve picked up Odin’s Child by Bruce MacBain. This is a must read. 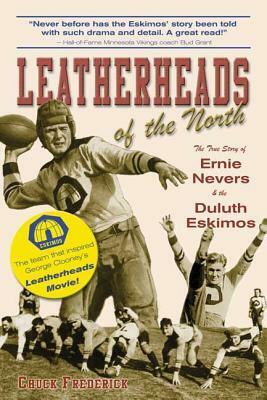 I received an ARC of this book from the publicist in exchange for an honest review. 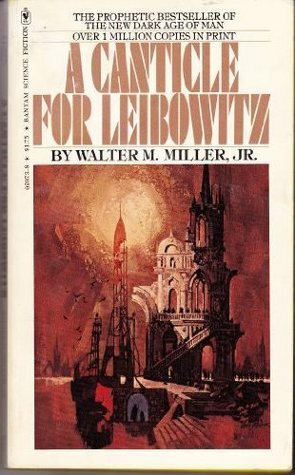 I first read this book back in 1977 when an English teacher of mine, knowing that I enjoyed sci-fi, put a copy of this book on my desk and suggested that if I really liked science fiction then I would love this book. It was an award winner, after all. A month or two later and I brought the book back and I could see in his face he wanted to know how much I loved it, and I smiled and said it was good, but the truth was, I didn’t understand a single bit of it or why anyone would like it. But because I liked that teacher, this book has stuck with me, and I decided to give it another try. I definitely understood the book much, MUCH better than I did when I was sixteen … found humor that I never would have picked up on at the time … but I still found the book to be dull and mostly very uninteresting. I don’t think I realized, even with this reading, that the book isn’t about any specific character or characters but rather about an idea. And because it’s about an idea, it traverses the lives of a number of people. As I would gain an interest and be curious about specifics or characters and their actions, it would move on to another story. In classic 1960’s tradition, this book is about ideology. It is a commentary on the role and tradition of religion in society and it capitalizes on the fears (of the times, mostly) of nuclear holocaust. The role of religion seems to be to give people something to cling to, something to hold on to, especially when everything seems bleakest. Yet somehow, in this book, religion is the keeper of science and technology in a perverted sense that they don’t quite understand what it is they are holding dear. This doesn’t make sense to me. I’ve given this book two chances … more than most books will get, and it still fails to interest or enlighten or entertain. Looking for a good book? Not everything that’s a ‘classic’ or an award winner is worth reading. This is a slight departure from the sort of books I typically review, but ever since my father had a book published on science and experiments for elementary students (40+ years ago? ), I’ve been interested in this sort of book. All of my children (now young adults) have shown great interest in science, which delights me (despite my own science ineptitude). This iScience reader about sound is a delightful book that manages to address the younger reader without talking down to them. It does not take for granted there’s previous knowledge of what sound is or how it works (one of the first sentences is: “All sounds begin with vibrations.”). It speaks mostly of music, which is very appropriate to these students who may just be starting to play instruments, but even if not, the book offers up some very simple experiments with everyday household items (yes … really, some everyday household items and not just items that can be bought at a local specialty store). In these few pages, the book even manages to offer up some information that was new to me (remember, I said I was not particularly science proficient) … that sound travels as much as four times faster in water than in air, travelling the length of thirteen football fields in one second. Awesome! Looking for a good book? 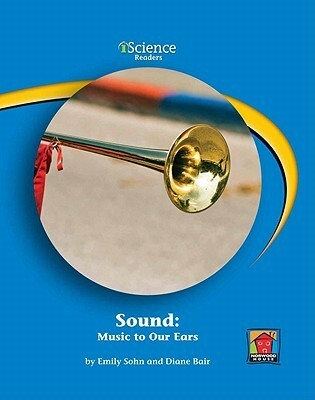 If you are a teacher, or a parent who loves teaching opportunities at home, then this book is really great for a science lesson in sound!